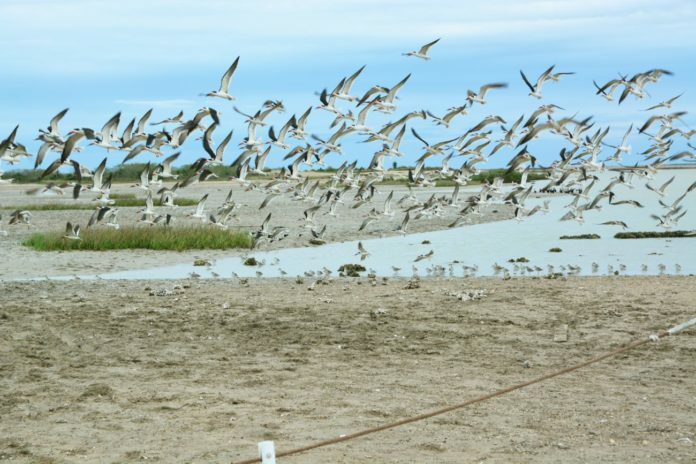 A flock of more than 100 black skimmers flare up only to settle back down at the Jaime J. Zapata Memorial Boat Ramp on State Highway 48 near Port Isabel. Black skimmers are known for their curious hunting technique, sweeping low across the water with their powerful lower mandible slicing under the surface until it encounters the body of a fish, then snaps shut. The skimmers were merely a few hundred yards from Gayman Bridge where more than a hundred brown pelicans have died while seeking shelter from cold wintry winds. Experts at the site said yesterday morning that no pelicans were killed overnight when the cold front hit. HARLINGEN — Fresh air, beautiful locations, the thrill of a bloodless hunt and the eternal additions to life lists are all part of the allure of birding. Now one Canadian researcher wants to compile data on some of birding’s intangibles, like which activities and skills birders consider most important in their enjoyment of birds and how they choose to interact and observe them in the wild. Vanessa L. Johnson is an undergraduate at the University of Lethbridge, Ontario, majoring in psychology. She became interested in birding two decades ago growing up on Haida Gwaii, an archipelago off the northern Pacific coast of Canada. “My neighbors were avid birders and, having noticed I had an interest in nature, took me out with them on a local bird count,” she said via email. “I hadn’t paid much attention to birds before that, but the bird count made me realize just how many birds there were around us and how interesting they were, from the tiny golden-crowned kinglets who tagged along down the trail with us to the beautiful harlequin ducks along the shoreline. Naturally enough, her interest includes the Rio Grande Valley, where per capita birders are concentrated to a degree generally not seen elsewhere in North America. In her broad search for answers, she’s asking birders here in the Valley to help her with her thesis by responding to an online survey about their experiences and enjoyment of their pastime. The survey is open to U.S. and Canadian citizens 18 years of age and older. 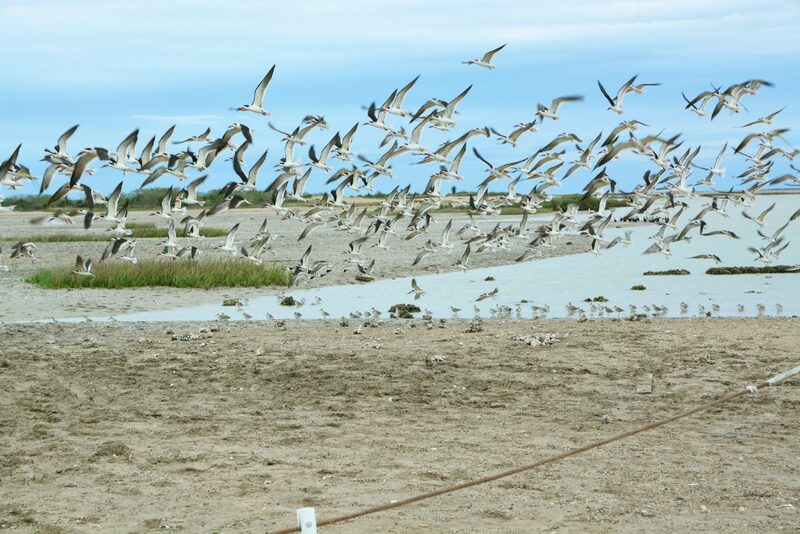 Johnson says previous surveys on her topics of interest consist of studies which are much smaller in scope, focusing on small geographical target areas like New York City or on specific events such as the Great Texas Birding Classic. The survey takes between 30 and 35 minutes to complete, Johnson says, and participation is confidential, anonymous and voluntary. To participate in the free survey, click here. Note: You must be 18 years or older and currently residing in Canada or the United States to participate in this survey.